Has 159 recipes, 7 public recipes. Has 519 flavors in inventory. Obiwancannoli supports All The Flavors. Upgrade yourself. This isn't your typical stovetop mango custard out of a box...it's actually your typical mango custard out of a box WITH a dab of whipped cream AND fresh mint on top. There may or may not also be a few slices of fresh mango as well. Sue me. Bavarian Cream(FW): One of my favorite creams to add to a custard. Supplies a nice thick mouthfeel without too many additional caramel and vanilla notes. Custard(INW): If you want just a thick and creamy custard without a heavy dose of vanilla than this is the one you want. Mango(SC): I can't get enough of this mango lately. It's so juicy and delicious I highly recommend picking it up if you don't already have it. 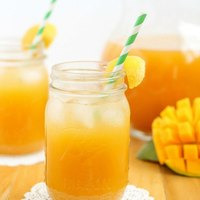 It's basically canned mango nectar in vape form and its the flavor that needed to be in this recipe. Vanilla Custard(CAP): This flavoring is entirely optional. I happen to love it in this recipe but it is just as tasty although a bit lighter without it. Natural Mint(INW): An amazing flavoring and the perfect mint leaf garnish for our mango custard. This flavoring is damn strong so even 0.15 would probably do just fine. Sweetener is optional although it adds to the authenticity in this recipe. Pretty good as a SnV or let this one steep for a couple of days if you want a bolder mango. Let it sit for a week or two for best overall results and maximum decadence. I truly love this recipe and I hope some of you folks will too! Enjoy! In honor of Waynes flavor review and accompanying recipe of LB Blue Raspberry(and also due to finally receiving my own bottle of the same a couple of weeks ago after my supplier had it listed as out of stock for damn near a whole year!) I figured I would share a quick and tasty recipe I've been enjoying the past few days. INW Raspberry Malina: boosts those top candy raspberry notes to really make LB Blue Raz pop. FLV Boysenberry: adds another dimension of candy "blue" and is an all around amazing flavor. SC Green Apple: I have tasted green apple in many a blue raspberry candy/slush/popsicle and for good reason, as apple is a great friend of the raspberry and it really completes that candy blue raz profile and adds a unique flair to the recipe. By the way this flavor should NOT be subbed for other green apples unless you love the taste of acetone...it is awesome and if you don't have it I highly recommend picking it up. Sugar daddy sweetener because it's the best damn sweetener out there albeit a bit on the weak side so 1% is not that crazy for a candy profile such as this. Of course you can alter to suit your taste. There you have it, a damn satisfying blue raz that is simple and extremely tasty. Hope you all enjoy! Mango is my absolute favorite fruit and I love mixing with it and trying to find that perfect mango vape. 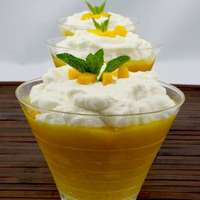 If you are a fan of mango and looking for a great summertime recipe then give this beauty a mix. I wanted to try something a bit different from my usual recipes and my new bottle of FLV Black Tea was sitting on the shelf looking lonely so I thought why not? Id10-t tackled this profile quite a while ago with a simple and pretty tasty mango iced tea recipe, however, I felt it a bit too linear and a touch harsh on the throat. Not to mention FA Black Tea, although not horrible, leaves a lot to be desired. I decided I wanted the mango part to be more along the lines of a nectar/puree, so I used a combo that I have really been digging lately, FLV Mango at 1% and SC Mango at 2% is low enough to let the other flavors shine through, yet provides a nice full mango nectar. If you don't have SC Mango yet, do yourself a favor and buy it! It is an amazing flavor and my current favorite. Its only downfall is that its susceptible to a bit of fading after a few days so it is best as a SnV. FLV Mango is there to bolster the SC and contribute some of its brighter citrusy top notes. FLV Black Tea provides a nice sweet and mildly complex tea base and has become one of my new favorite flavors. 1.5% provides a good level of tea flavor to the recipe. Bump up to 2% if you would like the tea to be a bit more apparent. CAP Hibiscus is another great flavor and it pairs very nicely with the mango, adding a nice twist to this recipe. 1.5% brings the flavor up enough to compliment the mango and black tea while providing a nice syrupy sweetness to the profile. TFA Strawberry at 1% is mainly here to ensure this recipe is as smooth as silk. Also, strawberry is a wonderful pairing choice for mango and even at a fairly low 1% compliments the mango and hibiscus wonderfully. I add 1.5-2% WS-23 30% but if that is too much please feel free to take it down to your preferred level. I have really been digging Ricks Sugar Daddy sweetener since I started using it. In fact, I don't use anything else anymore because this stuff is amazing! It's about the same potency as TFA Sweetener so I don't believe 1% is absurd by any means but feel free to sub your preferred sweetener or remove it completely as the recipe is fairly sweet on its own. I enjoy this recipe right off the shake but if you let it sit for a day or two, the tea and hibiscus will pop out a bit more as the mango fades slightly. I really hope that some of you are able to mix this up ☺ It's a perfect vape for summertime cocktails on the patio or just lounging in the sun. If you are craving a great Dubble Bubble recipe then give this one a try. This will bring back those childhood memories but with this recipe you wont run out of flavor after 30 seconds. 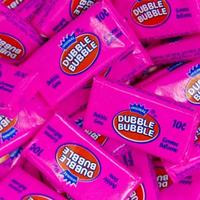 This recipe mainly comes from a post by HIC on the VU forums, however, the original recipe was not even close to an authentic Dubble Bubble flavor. HIC did quite a bit of research in regards to finding the flavor components that make up Dubble Bubble, so I can not take credit for most of this recipe. In order for the recipe to taste more accurate, I had to alter the ratios of the 4 main components of DB being: Orange, wintergreen, vanillin, and cinnamon. The original recipe used FA Orange but I felt that SC Orange was a better fit due to it being a bit sweeter and candylike. If you dont have SC Orange then FA orange at 1.25% is a suitable substitute. I also ended up adding a touch of TPA Marshmallow for mouthfeel, and a small amount of LA Bubble Gum to help fill in the gaps between the main flavor components. CAP Super Sweet at 0.5 provides an authentic level of sweetness, however it's entirely optional. Also, you may even want to drop the cinnamon a bit more as it comes off as slightly harsh as an SnV, however I think 0.1% is where it needs to be to supply that accurate level of cinnamon flavor. This recipe seems to be best when vaped after 3 days up to 2 weeks due to the amount of vanillin which will eventually mute and throw things out of proportion a bit. As stated before I would wait at least 3 days to vape this recipe in order to let the cinnamon die down a bit. After that, this becomes quite smooth and all of the flavors homogenize nicely. Hope you enjoy this neat recipe! A delicious and rich cheesecake recipe, showcasing the harmony of the proven apricot and almond pairing. Cheesecake, lightly infused with vanilla bean, topped with a sweet apricot/brandy compote, fresh sliced almonds, and drizzled with cream cheese icing. The end result is a sweet, slightly topping forward cheesecake with a rich and creamy base and a soft and buttery graham crust. 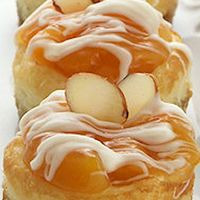 INW Apricot: One of the stars in this recipe. A strong flavoring and quite apparent even at 0.5%. This provides a nice, ripe apricot flavor with some slightly floral top notes that combine beautifully with almond. SC Apricot: If you love apricots and peaches, this is a must have for your flavor arsenal. A bright and slightly candied apricot with notes of yellow peach. I used this to help bring INW apricot down to a more "cooked" level for the compote. FA Almond: At 0.75% this was enough to imitate a few sliced almonds on top of the cheesecake. FA Bourbon Vanilla: This brings a nice rich vanilla to the cheesecake, while lending some of its darker character and warmth to the compote. FA Brandy: At 0.5% this provides the compote with a bit of warmth and a light dose of brandy flavor. TPA Brown Sugar: The base of the compote. 0.75% is enough to soften up the apricots and provide a cooked/caramellized nature. Also contributes to the soft graham crust. LA Cream Cheese Icing: This provides the drizzle of icing on top of the cheesecake and lends a bit of tanginess to help authenticate the cheesecake body. FW Graham Cracker: Combines with the sugar cookie to create the soft graham crust. CAP New York Cheesecake: The rich and creamy cheesecake base. I pushed this up to 5% so it could hold up better against the bolder toppings. CAP Sugar Cookie: This mainly helps to lend a bit of weight to the graham crust and cheesecake body, while also providing some texture and sweetness to the recipe. CAP Super Sweet: Optional, however I feel that this recipe benefits from a small addition. So there you have it, a rich and decadent cheesecake that is full of flavor and hard to put down. Hopefully some if you will love this recipe as much as I do. I feel that this recipe is good enough after a shake but 5-7 days will let everything come together fully. Take care and keep mixing! Hello to all you wonderful people of ATF. After trying many great recipes over the last few months, I finally feel like it is my turn to give back to this community. This project has been on and off with many versions and tweaks over the last 5 month's or so, but now I feel it is finally where I want it to be. Oasis was the first commercial juice I really wanted to clone. It is a blend of Peach, Cantaloupe, and Papaya and is quite good actually, however, I saw some room for improvement. I am going to say right off the bat that I realize this recipe may look a bit redundant with the multiple flavors per fruit but I can assure you that each and every one serves a purpose. FLV Cantaloupe: This is an awesome flavoring. Probably the most authentic Cantaloupe I have tried, however, it lacks body and is a bit harsh. At this percentage it lends a tasty ripe cantaloupe without many negatives. TFA Cantaloupe: This is a sweet candy-like Cantaloupe. It works at 1.5% to lend some of those sweet ripe top notes without too much of the candiness. Also adds a bit of body. 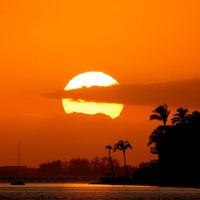 CAP Cantaloupe: This is a nice fairly authentic Cantaloupe although a bit mellower than FLVs. At 2% this works well to flesh out the Cantaloupe and add a bit of body throughout the recipe. TFA Papaya: The main Papaya component in this recipe. At 2% I find you get a great, slightly artificial flavor, while reducing most of the pepperiness that can come with it. FA Papaya: This is here mainly to help authenticate the TFA Papaya. INW Peach: An excellent peach flavor. Brings a fair bit of juiciness to the recipe and is pretty authentic. 1.25% brings a nice ripe peach flavor while minimizing the earthiness that can pop up at higher percentages. FA White Peach: An excellent flavor and a must have for sure. I use this to add some tartness and brighter top notes to the recipe. It has an almost "green" nature which I believe helps to mimic the rind area of the Papaya and Cantaloupe. 1% works for me, however you could reduce it to 0.75% if it is too earthy for you. TFA Marshmallow: This is here to boost the sweetness a touch and add a bit more body. TFA Whipped Cream: I use this to emulsify and smooth out any sharp edges. *Feel free to add some koolada or ws-23 for an ice cold smoothie. Toe curling indeed! Mangosteen(FA) is a very strong flavor and completely takes over the mix. I would like to try this again but with maybe 0.5-1% Mangosteen. That aside, I still enjoyed this recipe. Anyone who is a fan of unique flavor profiles would probably enjoy this and moreso with the Mangosteen dropped a few notches to reduce that over the top piney-ness. Probably the best soap based recipe I've tried 😉 this tasted exactly how I imagined it. The rhubarb in the front flooding your palate with its amazing sharp and tangy notes and the delicious sweet fuji fleshing this recipe out in perfect harmony. The vanilla whipped cream works great here to fill in the gaps and reduce the harshness to almost nothing. Honestly, for being a brighter fruit/green based recipe this feels pretty damn savory especially with a drop or 2 of sweetener. A killer 3 flavor recipe that must be tried. Will be making a much bigger bottle of this. Awesome work! I love my aspire breeze but you really have to crank up the flavor in order to make anything enjoyable. Now, I have not tried any of the other ultra portables such as the limitless or plyrock so this recipe may work for them just fine, however, out of the breeze this tastes like absolutely nothing. Its a bit better with the mango at 7% and juicy peach at 3.5% Anyways I wont be rating this one today, but I do like a lot of your other recipes and they are all 4 and 5 stars so far. Keep up the good work. Mixed this up about 3-4 days ago and I must say I'm pretty impressed. Deweys Amethyst recipe set the bar pretty high but Citrine definitely did not miss the mark. I did have to sub the sicilian mix with grapefruit FA at 0.75% and the FW blood orange for FAs version at 0.75% as well, as per Deweys recommendations. Overall I get a mixture of flavors reminiscent of marmalade. Its very unique and tasty! Like Amethyst, this recipe captures the Citrine description and imagery and translates it perfectly into flavor. I get the bright and bitter grapefruit upfront, followed by the bright and sweet citrus notes of mandarin wrapped in the sweet pear-like quince. The apricot follows closely just a bit lower in the recipe and not quite as present, yet still fairly detectable. The mango is also not quite as present but I believe it is mainly there to flesh out the predominantly thin citrus nature of this recipe. The blood orange seems to be mainly mingling with the liquid amber and caramel to create a deep cooked/preserved orange base. The marshmallow creates a nice light and fluffy white base for all of these flavors to lay upon. Another well crafted recipe. Definitely worthy of a mix if you are into complex and unique fruit vapes. Also, for being a mainly citrus mix the throat hit is almost non existent which is a huge plus for me. I am very much looking forward to that last healing stone recipe to drop! Keep doing what you're doing! I really wanted to give this 5 stars but I feel that that this recipe is suffering from over-flavoring. FA Raspberry is a pretty potent flavor and at 4.5% is just too much and may be muting itself. I taste mostly honeysuckle with a bit of raspberry and I was hoping for raspberry to be dominant. The hibiscus sits in the back but still apparent. The cactus is perfect, providing a great juiciness without the flavor. The recipe seems like it would be great with the raspberry and honeysuckle dropped to 2% and 2.5% respectively. On a side note, this may be a great recipe in a pod system or an aspire breeze since they seem to benefit from higher percentages of flavor. I dont want to come off too harsh because I still enjoy this flavor and think this has a lot of potential. Also I have not tried the original so I can't comment on the accuracy. Overall this is a pretty good recipe though. This is actually a really great recipe! Tastes just like milk with strawberry nesquick mixed in. Nice and simple but not boring at all. The balance of flavorings is perfect and this is very authentic. Great recipe! Damn fine recipe. I love pear so this was right up my alley. My bottle didnt survive the steep period but it doesnt matter to me because it was awesome right off the shake. Well balanced, creamy, caramelized, boozy, fruity, magic. Well done man I will be mixing this up again. Also, I added 0.5% of Pear SC and it worked well. This is a prime example of master level mixing. The balance is amazing, the flavor is on point and it's intriguing from the first puff until the bottle is empty. I like to fall back on this recipe whenever I get frustrated or bored with my own and other people's recipes. Easy 5 stars right here. In all honesty though, I dropped the Fuji down to 3% for my personal taste as I found it just a bit too strong. Otherwise this is an amazing piece of art. Well done and keep up the great mixing! As much as I love new and unusual flavor combinations I still very much enjoy a basic and sweet commercial type recipe once in a while and this is it right here! The marshmallow although seemingly quite high here works very well in combo with the meringue, bav cream, and custard to create a great fluffy vape with amazing mouthfeel. I replaced the strawberry ripe with regular tpa strawberry as I personally dislike the ripe and I believe it worked very well. The level of strawberry is just perfect in relation to the fluff and makes for a very addictive vape. Another excellent job here 5 stars all the way! I love this recipe, it scratches all of the itches in that its packed with flavor, interesting, smooth as butter, simple, shake and vape worthy and just plain damn delicious overall. I love a good candy ish profile more often than not and this one delivers. The strawberry and watermelon combine wonderfully and you have the pineapple jumping in to provide a nice tartness that is just awesome. Great job on this one and it's probably my new number one snv recipe now. I had been working on a unique blue raspberry flavor for a couple of months when I stumbled upon this recipe. My recipe also used inw raspberry at 1% as well as SC Pear(which I VERY highly recommend!) and once I mixed this up it was very close to mine. Raspberry and pear work amazingly together and I have tasted pear in many blue raspberry products. The apple and quince are a nice touch, although quite subtle as the inw raspberry tends to be a bit of a bully in many recipes. All said, this is a great, flavorful and juicy recipe and definitely worthy of a mix. This was actually incredibly tasty! The 30 ml I made barely lasted a few days. Will definitely mix a bigger bottle and let it steep a while. Great recipe. Oh man, this just hits the spot for a change of my usual flavors. Beautifully mellow and smooth and an excellent representation of a creamy earl grey. I would like to experiment with my new bottle of flavorah black tea in place of FA black tea as I get a bit of a dirty taste from it. Not to say the recipe isn't absolutely delicious(which it definitely is!) but it would be a perfect recipe to test it out on. 5 stars easy on this one. Great job and keep up the good work! Really enjoyed this one, thanks! Was a bit hesitant due to high percentage of lychee, however, it worked very well in this recipe. I added a bit of menthol and ws-23 and could hardly put it down. Will be mixing this again. Nice recipe. Unfortunately I'm one of those damned black pepper tasters when it comes to TPA VBIC and WC so I had to sub those with LB VIC and FW WC instead. Let this one steep for a week and everything blends nicely. Raspberry is fairly subtle but a nice flavor, like a raspberry jam or syrup, with a nice rich ice cream base. The white chocolate goes nicely with the raspberry as I've found out in a white chocolate and raspberry kit-kat recipe I've been tinkering with. A nice little recipe to break my steady stream of chilled fruit vapes for the summer heat. Keep up the good work, look forward to more recipes. Nice recipe, the double apple(which i SFT and noticed the mealy texture) really does provide a nice texture that feels like biting into fresh watermelon. I would however drop the percentage of double apple down to 2-3% as the apple flavor is a bit too forward and distracts from the pure juicy watermelon profile you were going for. I think I will try adding a small percentage of a slightly more candied watermelon too, such as SC Watermelon, or MB Big Watermelon, as this tastes a bit under ripe to me. All in all this is a wonderful recipe that could be absolutely amazing with a small tweak or two. Awesome summer vape especially with 1% of ws-23 added. This is really freakin' tasty! I've been looking for something unique like this for quite some time now. If I could sum this flavor up in 2 words it would be Wine Gums. Seriously it reminds me a lot of the white wine gums. Flavors are nicely balanced and not too in your face. I added 0.25 of cactus and it tastes great. Awesome little recipe here good job. This has earned the spot of my favorite Orange/Citrus recipe. Excellent work sir. The orange is vibrant, juicy, and bold. seems just a tad weaker than expected but that may be due to using this recipe in a large RDA with some big alien coils, and experiencing some flavor muting due to the higher percentages of multiple orange concentrates. Im sure this recipe would be a great MTL vape and I suspect it would be awesome on a smaller RDA like a Hadaly. Will have to mix up a new bottle to test this theory as my first 30ml barely lasted a day. To boot, this recipe is smoooooth considering all of the citrus concentrates. A must mix recipe! I mixed this recipe up for my tiny MiniFit and it was awesome! After hunting for quite a while I finally was able to source a large amount of Black for Pipe, and I must say, Mr. BurnVictim, the hype is real, and I can imagine much of that big bottle will be going towards this recipe. I just recently tried it with 5% French Pipe(SC)-and I'll be damned if the first pull didn't make me think I took a drag off of one of my old brand of cigarettes. I think I would drop the FP a bit, maybe down to 3.5-4% next time. Maybe a tiny touch of Black Fire(FA)? I love this recipe and I think it would make an awesome base to riff on with some other small additions. Otherwise this is a great pod recipe for going out on the town for some drinks, or perhaps finally getting that loved one off the cancer sticks for good. This is actually really pretty damn tasty. Unfortunately its not an ADV for me but it has been a nice treat to fill up a tank every now and then. I have a really big problem with torrone for some reason it makes me feel a bit nauseous whenever its in something I mix up, however, it was covered up pretty nicely by the other flavors in this recipe. The apricot combo is really nice and its one that I have used in the past. That gingerbread really makes this recipe something special though and I feel it might be getting much more use from me. Nice recipe here, I can tell some time was put into the development. This is pretty damn tasty. As a guy who loves the occasional sweet candy recipe, I fully endorse this one. Nicely balanced, full of flavor and juicy. If you have a bunch of coconut candy that you don't know what to do with, mix up a big batch of this, you won't be disappointed. Finally decided to bite the bullet and give this a try. Banana is far from my first choice of fruit but the pudding/wafer intrigued me so I figured what the hell. Turned out very nice actually. I actually love eating banana pudding and was hoping for that obvious pudding flavor but it's more like a rich banana cream. The wafer part worked out very nicely, and is well balanced with the banana cream. I may have to try this again but will add 1-2% of vanilla pudding(flv) in hopes of achieving that authentic banana pudding flavor. All in all this is a great recipe and worth a mix whether you love banana vapes or not. Great recipe with lots of flavor from just 6.5%. Definitely better than the more popular recipe of this profile. Perfectly balanced, simple and doesn't leave me wanting to tweak this or that. Can't believe I forgot to review this when I tried it last year! This is definitely one of the best s&c I've tried and I've tried a buttload. That cci truly takes this recipe to the next level, the creams are very well balanced with the strawberry and the flavor is nice and saturates the palate. I unfortunately pick up a bit of harshness which I definitely attribute to the strawberry ripe. I would like to try this baby out with 1.5% strawberry sc(RF) in place of the strawberry ripe. Wonderful recipe here, definitely a must mix! I tried this recipe a while back and for some reason, forgot to leave a review. This may be the very first bakery recipe that I've come across which features papaya Although Mango Blossom Macaron is my personal preference, this recipe is every bit as tasty! The papaya and apricot are perfectly infused into that killer macaron base. The honey is not overpowering and the cream blends everything together beautifully. Another great recipe and a must mix if you love papaya. Sorry but I'm just not feeling this one. There's something weird going on between the raspberry shishas sharp acetone note and the butyric funk of the butter tart was is a bit nauseating to me after a while. The recipe is not horrible by any means, and I was able to vape it a fair bit but I believe there could have been a much better choice of key flavors. The crepe isn't too bad a flavor on its own even with the somewhat out of place spices but I feel that this particular raspberry doesn't belong in this recipe. I could see just plain ol raspberry(INW) working somewhat better but I would personally be using a more spice friendly fruit such as banana, peach, apple...instead. Also, I would nix the butter tart in favor of a similar % of TFA butter or maybe 1% CAP butter cream. I should add that I tried this recipe as a snv and periodically all the way to a 2 month steep with only a slight improvement of the off notes. On the plus side, the percentages seemed decent and the flavors were fairly defined in this recipe, just not a winner for me. Pretty much perfect as it was. My expectation was something similar to Dr.Fogs Milk & Honey(commercial juice), and while it wasn't quite there, it was a tasty vape. For some reason this baby wasn't silky smooth for me as I experienced a bit of throat harshness but otherwise, a great recipe. I would probably bump up the honey a bit next time and drop the fresh cream as I can't stand it in most situations. Hot damn this simple little recipe is fire!!!! If you love jujube type candy then this is a must mix! This mix tastes almost 100% like those bright pink bunny head jujubes you find around Easter time. Coincidentally those happen to be my all time favorite jubes' so this recipe is like heaven to me. I believe that pink lemonade flavor was the absolute perfect choice for the jelly candy addition as they combine seamlessly and produce an extremely accurate jujube flavor and texture. The splash of dragon fruit gives it the perfect nuance to build on that jelly flavor and juicy mouthfeel. Cap ss is absolutely essential to this recipe so don't skimp on it 😉. 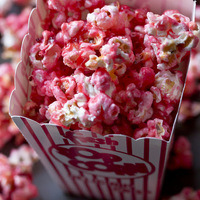 An awesomely simple recipe that every candyhead should mix. Now I must go and order a 120 of pink lemonade!